I am so pleased to announce… that you have found on your own what a select few health care providers are starting to realize. Let me help you to discover the guidance to a better health. Nutritional supplementation has revolutionized my understanding on how to obtain and maintain optimal well-being and it makes sense to many people, because of the numerous published studies that demonstrate its benefits. Omega 3 fatty acids (fish oils) have a remarkable anti-inflammatory effect. Essential Omega III provides three grams of EPA and DHA in the amount and ratio that studies reveal is the most effective. 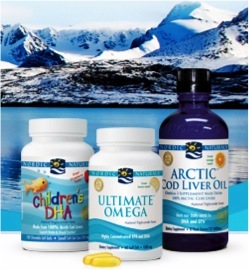 Enter: Practitioners's ID 87378 to get your fish oil with 15% off and free shipping.